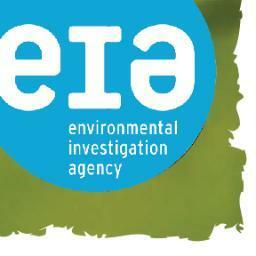 The London-based Environmental Investigation Agency (EIA) is a campaigning organisation like no other, and September 17, 2014 marked 30 years of working on the front lines to expose environmental crime and exploitation. It began with three young activists seeking to make a difference and has grown into unique, manoeuvrable and hugely effective organisation, driving changes in international law and putting the concept of organised transnational environmental crime onto political agendas around the world. Carving out a solid reputation for investigations and campaigns, EIA works on a wide range of environmental crimes including illegal wildlife trade (tigers, elephants and cetaceans), illegal logging, hazardous waste and trade in climate- and ozone-altering chemicals. EIA differs from other NGOs in its strong focus on environmental criminality, dispatching investigators to work undercover with hidden cameras, false-front companies and assumed identities, often in harrowing and potentially dangerous circumstances. Its findings are shared with appropriate enforcement authorities for action, and used to highlight issues and bring pressure to bear on them. playing key roles in achieving the 2010’s European Union Timber Regulation and 2011’s historic Voluntary Partnership Agreement between the EU and Indonesia to help safeguard Indonesia’s forests. EIA has one of the world's largest archive of footage devoted to the illegal trade in wildlife products and other environmentally damaging commodities. The collection is data-based and is available on a professional basis to journalists, publishers and programme-makers. All the funds raised from the sale of this archive help to fund future campaigns. The visual media you see on this website is indicative of what is available in the whole collection. Contact: communications@eia-international.org for further information or to find out about footage sales.